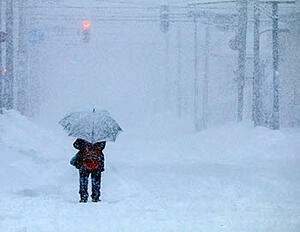 When there is a natural extreme weather condition, like a snowstorm or flooding, often businesses come to a standstill. In 2017 alone, the US was impacted by 16 separate billion-dollar disaster events, says the National Oceanic and Atmospheric Administration (NOAA). All of that added up and crossed $300 billion in damages in 2017, a new annual record. Small businesses in particular find this challenging – a whopping 90% of them end up failing if they are unable to get back on their feet within five days of a disaster. Even if businesses do manage to resume operations quickly, their reputation is at stake. According to a study by CA Technologies, half of the small businesses involved in the study said that unplanned outages affected their reputation. Despite the compelling statistics, many businesses either have an insufficient DR plan in place or they don’t have one at all, thinking “it won’t happen to me.” But it’s during those good periods, when business is ticking along as usual, that a company should be doing their DR planning. Think about the day that Hurricane Florence made landfall in North Carolina last year, and over 890,000 customers had to go without electricity. And last November, snow and ice storm across Eastern US led to over 400,000 customers to be without power. The storm led to school closures and major travel disruptions including traffic buildups and accidents. Can your business afford the losses that such disasters bring? Can your business afford to go without power for a few hours, or a couple of days, maybe a week? If your business does lose revenue (and profitability) because of such disasters, how long will it take for you to recover from those losses? 52% of SMBs say it would take at least three months to recover from a disaster. *Source: Nationwide Survey of 500 small business owners. Does one have a choice, many business owners ask? What if you live in a geographic region that is not prone to winter storms or other adverse weather conditions? Even if your business is physically located in a geographic area that is typically unaffected by natural disasters, your supply-chain partners whom you depend on most may be affected. Are you prepared for that? Do you have an IT application that serves as the backbone for the revenue generating activities? If yes, how long can you afford it to be down? A couple of hours? A couple of days? What if you lost the data you have on your servers and backup systems in your business premises? Would you be able to recover? How long would it take? Do you have a supplier who is based in a location that often sees snow storms or is susceptible to fires or floods? What if they are unable to serve you? Given the high stakes, business owners can no longer operate under the illusion that they are immune to disasters like fires, snow and ice storms, tornadoes, hurricanes and floods. It is best to prepare for disasters, whether natural or man-made. Having a good disaster recovery plan, systems and processes in place ensure business continuity, the value of which far, far exceeds the cost you incur in creating and maintaining a sufficient DR plan. The peace of mind knowing that revenues won’t come to a standstill, and your reputation will remain unharmed, is invaluable. Need help with your DR plan? PSGi partners with Thrive to bring you a range of IT disaster recovery services. From your apps to your servers, we can help with everything from handling security and audit requirements for your DRaaS site, to assessing and prioritizing your business’s DR needs, to finding the right technical solutions (across any platform) that meet your business needs. Contact us today to learn more.